The FSB says Abubakar was the leader of an extremist religious group. He is suspected of organising terrorist attacks in the region. 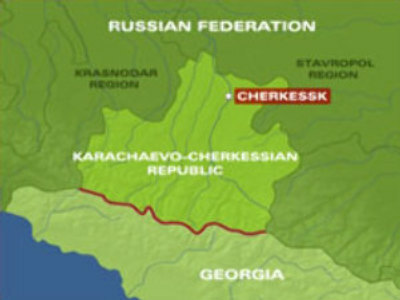 Abubakar and the second man were reportedly intercepted while trying to cross the border into Russia from Georgia. Both militants resisted arrest and were killed. They were reportedly carrying automatic guns, ammunition, landmines, explosives, fuses and demolition manuals.